If we leave well enough alone then we'll never have any more power than they came with. I doubt anyone would consider aluminum cylinders if they weren't looking for more performance. I thought Aluminum was for lighter weight? > I thought Aluminum was for lighter weight? Yes, and I thought the object was better cooling. Have any of you goggled Nikasil cylinders? Lots of cars and Motorcycles have had problems with them, High Sulfur fuels destroy the coatings and they chip off, BMW was replacing complete engines with steel lined cylinders as a warranted item due to the problems with the Nikasil, I have had personal experiences with Nikasil cylinders in my Race bikes back in the 80's-90's when Honda thought it would be a good idea to plate the CR 125-250 cylinders with Nikasil, I and others had problems with the coating chipping off at the base of the cylinder and at the ports, one chip at a open port 2 stroke cylinder and a ring would catch and bye bye engine, Us low budget privateers hated the Nikasil, you could no longer bore your cylinder for the next size piston, you would need to buy another std bore complete cylinder for $$$, Not what we racers wanted in those days, IMO running a Nikasil cylinder on a Corvair engine is just asking for problems. > weren't looking for more performance. Nothing like taking just a fragment of what is said and running with it. If properly sized pistons are used im sure the Nikasil Cylinders would work fine. to be able to have the same output as mine does, using a 1.4:1 fan pulley ratio, so if more is needed then the pulley ratio can be sped up bringing it closer to a stock pulley ratio. I cant think of anything else that a person can do that increases the available horsepower, and cools better at the same time, especially at high rpms. Excuse the length of my reply. I believe Porsche used Nikasil material for reducing weight and the aluminum has better cooling features than the previous/older Biral (cylinders cast iron with aluminum fins) and full cast iron. The bore center to center of the Porsche motor was fixed and as cylinders got bigger, (bore center to center size increased) the fin area size decreased so the properties of Nikasil looked promising. Porsche did not seem to have the issues that Jag encountered with Nikasil at the time. Popular Mechancis article, Ben Wojdyla, May 6, 2011 suggests Jaguar experienced engine failures due to sulfphur and heat (lack of it). "Nikasil saw some success in racing, and it remains a good choice when weight and performance are the most important factors. The legendary Porsche 917 used Nikasil as a cylinder-lining material; the 911 still uses it (2011), as do many sport motorcycles. However, when Jaguar decided to go with Nikasil, things didn't work out quite so well.....After the new engine went into production for the 1998 model year, spotty reports of odd engine failures began to trickle in. Slowly, almost imperceptibly, the engines would lose power. 1)Sulfur levels in the world's fuel supply varied widely during the time Jaguar produced this engine. England, Jaguar's home, had a fuel mix with very low sulfur levels, so Jaguar didn't encounter the problem during design and development. But once the engines reached other parts of the globe with higher concentrations of the element in their gas, the trouble started. Sulfur can do funny things to an engine's intake system. If the conditions aren't just right, sulfur combines with ambient molecules to form sulfuric acid, commonly known as battery acid. Sulfuric acid in an engine will attack and corrode any surface it touches, though iron is considerably more resistant to corrosion than Nikasil is. 2) Still, Porsche has long used Nikasil to line its aluminum cylinders, so why did Jaguar have a problem? Enter the second ingredient—heat or, rather, the lack of it. For performance, fuel-economy and emissions reasons, the Jag V8 ran cooler than the Porsche. That lower temperature plus sulfur in the fuel allowed the formation of sulfuric acid." Nikasil worked out real well for the Vega. I understand it was initially considered for the Corvair. As discussed earlier in this thread, Vega were NOT Nikasil, It was GMs idea of high silicon content. "I just have a bit of an issue with who is selling them. He is the same person that snatched up a car only to resell it on ebay when he told the owner otherwise if I remember the story correctly. I went to his place to look at the car for someone and he talked a big game but would not let me see his shop! What unimpressed me is he had done everything and wasn't afraid to tell you." > This seems to me to be a rather snarky comment. > speak more about you than them. First off it is a matter of record here of what happened about the car I referenced. No one tried to SNEAK anywhere! Where did you read that? He showed me the piles of junk he had laying outside around the shop but when I asked for a shop tour he gave some lame excuse about the shop being dirty. Have any of you seen pictures of my shop? LOL Cleanliness is not in the forefront. I don't know where that came from either, the statement of "when you don't seem to have any personal experience doing business with them?". P.S. I did have personal, face to face, experience with him! I have heard some bad stuff about them as well, So I kinda lean towards Kens comments, I know 2 people that bought engines from autobahn and both engines were delivered not as described on the ebay adds, also if you watch his adds he shows pictures of different engines in the same add, so who knows what you will get? 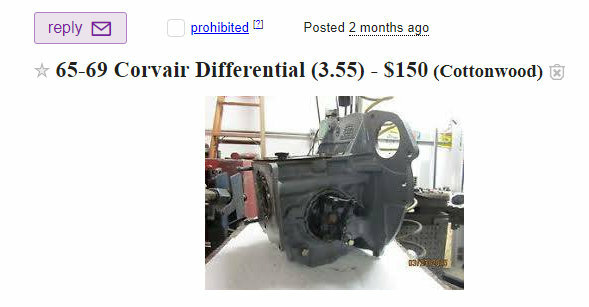 Take this add for a PG for instance, he shows pics of different PG's and a couple engines as well, the case is dirty, then he claims the "pictures of the actual PG you are getting did not turn out? HUH? in the digital age the pics did not turn out? shady to say the least! Edited 1 time(s). Last edit at 01/20/2019 11:14AM by davemotohead. This has been an interesting discussion to follow. If you want to 'see' what "Nikasil Cylinders" are I suggest you go to www.corvairspecialties.com/products/Cast Aluminum/Nikasil Cylinders. I came across this site several years ago. 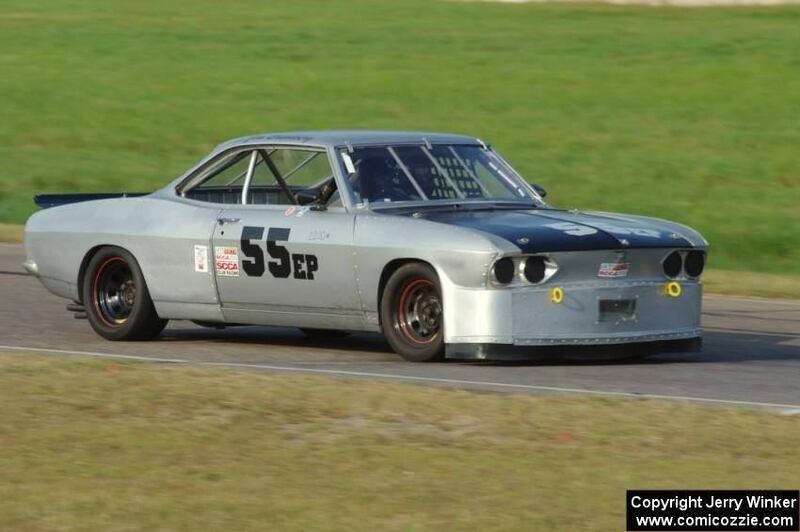 This gentleman seems to have a lot of good custom Corvair parts. His prices are not "totally" unreasonable. I have not seen it updated lately so I don't know if he is still in business but his website is still up and has good explanations of his products. Just saying its a good place to look! > Nikasil, It was GMs idea of high silicon content. If it was discussed here, it must be true -- unless refuted by FB. My bad. > unless refuted by FB. My bad. > better at the same time, especially at high rpms. Good information on your fan project. Noticed your Fan thread has not been updated since about Thanksgiving. Not about Nikasil cylinders, rather about Autobohn iron/steel oversize cylinders. Spoke with a fellow at the last Fan Belt Toss who was using these cylinders in his 3.1 turbo engine. He was happy with them. Also searching here I found a few favorable reports about Autohohn (not many). 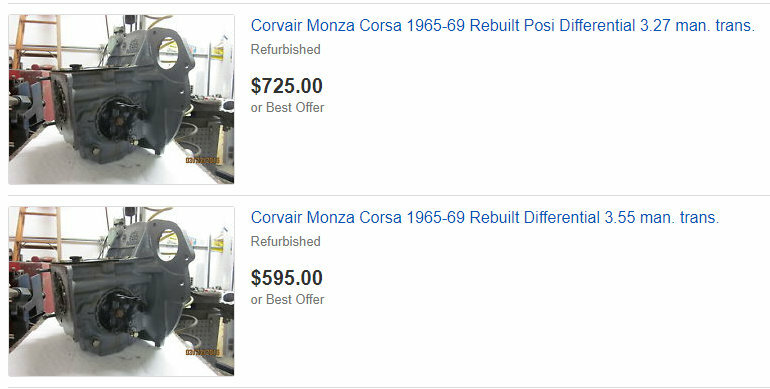 My observation is that his ebay prices are very high, but who else offers big bore Corvair cylinders?? I mean like $3000 for a set of 140 heads? Give me a break!! EDIT: I suppose I could contact Pauter Machine about custom Corvair cylinders. They do quite a bit of custom VW cylinders. And they are reputable. Edited 1 time(s). Last edit at 01/20/2019 03:12PM by john.jackson. Dave, it's easy to look up the whole Vega issue if you don't believe us. A friend of mine made a living sleeving Vega blocks. They were not Nikasil. > who knows what you will get? When looking at autobohnengines eBay ads, I noticed their photos are the same as I've seen on Phoenix CL. They must both use the same photographer, right? Holy cow has this thread expanded in a day. I don't know where to start but here goes. The Vega was a high silicon content aluminum alloy not a nikasil coating. Apples and oranges. I have never heard that either one was considered for Corvair cylinders, especially since new development was pretty much suspended after 1966. I could be wrong and would be interested in reading more. In this regard I've always been suspicious of high silicon content aluminum alloy pistons for the Corvair and have never used them. I did a little investigating of Auto Bohn engines in Michigan a few years ago. It doesn't help when the name is misspelled most of the time but I believe I have it correct. A local fellow wanted me to install one of their engines and get it running. I did not want to do it and haven't heard from the fellow since so I have no idea if he proceeded. I offered to build an engine for him myself but my performance claims were less. I like to think I'm realistic but perhaps I'm just overly cautious. With the name, I expected to find a Porsche 911 sort of a shop that did some Corvairs as well but found that they're a Pontiac sort of a shop to begin with. I don't know if they're good or bad, I heard some things but then you always do. They are not the only rebuilt engine install jobs that I have declined, I just don't want to get in a "who's fault is it" sort of a thing if something doesn't work out. Another of the rebuilt engine install jobs I declined involved an Arizona Craigslist ad but I thought it was in Tucson not Phoenix. I did some investigating and didn't like what I found. I'm building an engine for this guy. It's the aircraft guys that are making the Corvair nikasil cylinders. I don't know who is producing them but it is not Auto Bohn Engines. 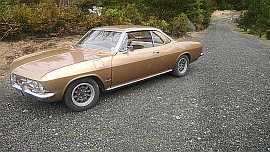 I don't think Corvair Specialties is producing them either, although you can buy them there. I could be wrong. 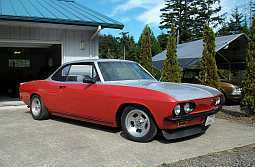 I've done some business with Corvair Specialties but not lately. They have some interesting stuff. With some searching a few years ago I believe I found who is producing them but I don't remember. I was not going to be a player at those prices so it was no use bothering them. I still find nikasil aluminum cylinders for the Corvair an interesting topic and would love to read more about the real world application seen at the Fan Belt Toss. Like what's he using for pistons for 3.1 in a turbo.